This Edward was a cousin of our Edward Stanton. Two Edwards from two separate brothers in County Mayo. 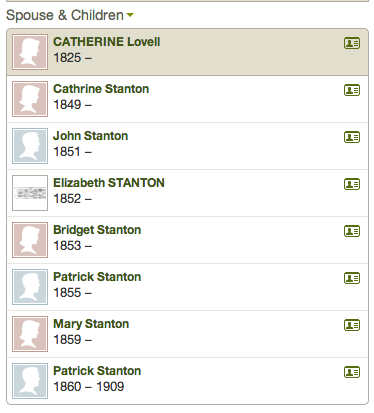 I linked to your site from Ancestry as I’m a decendent of Edward Stanton and Catherine Lavell. What you have created here is amazing! It’s so exciting to find so many people you are related to in some way. I wondered if you had any information on Edward’s parents? 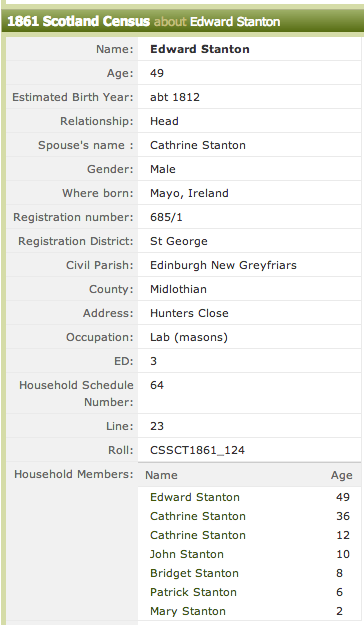 I’m assuming if your Edward is cousin to my Edward they must have had the same Grandparents. All these Edwards gets so confusing lol! My great grandfather is also Edward. He died in WW1 and is buried in Greece. Thank you for any help it is very much appreciated!